Remember the tortoise and the hare. Consistency wins the day. I see this all the time as a trainer… people come in the gym and hit it hard for a few months, or even a year… then they get distracted, tired, hurt, discouraged, busy, or any other excuse… and quit showing up. Then there are those people who just quietly show up and do the work every day. They aren’t necessarily blowing up Instagram with selfies… but they are changing who they are from the inside out. Give it three years and see who has come further… the 6 month freak (aka “The Hare”) or the dude who just kept showing up (aka “The Tortoise”). If you don’t remember the story… you have to watch this video! HINT: the best way to do this is to put the gym on the calendar! If you treat it like a meeting you will show up. If you try to “squeeze it in” it will get “squeezed out” of your busy life. You look and perform like what you eat. If you eat Little Debbie’s you will look like and perform like a Little Debbie. The biggest lesson for me these last six years has been the role of food. You can train like a maniac… but if you’re not eating right you’re not going to see or show the results! Working out gives your muscles a REASON to grow. Eating gives them the RESOURCES to grow. If I could do it again, I would eat like a farm boy (meat, potatoes, and vegetables), drink a lot less pop (soda… or whatever you call it), and eat more meals throughout the day (5-7). Whether it’s nutrition, new exercises, improving technique, or developing mental toughness… I would never stop learning. Every day now I set aside time to read an article or watch a video on something related to nutrition and/or training. It doesn’t have to take long. I actually do it while I am eating one of my six meals. If you always do what you’ve always done… you’ll always get what you’ve always got. If you’re not happy with your results… learn something new! Get a trainer! Read a book! Watch a video! Push your limits! Do something every day to keep learning! Keep setting goals… and conquering them. Some of my personal bests have come as a result of training for and participating in Physique Shows. I’ve done three of them to-date. In preparation for these shows, I typically cut 15-30 pounds and get shredded! The discipline that it takes to stand on the stage and look like that is unbelievable. It is 16-20 weeks of self-denial, hard work, some tears, and lots of tough days. There’s a reason why there are hundreds of people watching and only a few on the stage… because it’s work that few are willing to do. BUT… after you’ve done the work and accomplished the goal, you look back and realize, “I can do really hard things!” It’s so empowering to set and accomplish really hard goals! I would tell my young gym self to set goals, and conquer them. Don’t just show up… throw some weight around, and go home! Throw weight around with a purpose! Eat with a purpose! Run with a purpose! Stretch with a purpose! Your goal can be anything you want it to be… just set one… and crush it!!! So how about you? If you could go back and tell your young gym self some things… what would they be? Monday morning Sherri and I sat with a mom and her daughter and planned out the mom’s funeral. There were some tears; very little excitement; very little nervousness… just a hopeless acceptance of the inevitable. The range of emotions within this 24 hour period was extreme. We love the couple who is getting married. We love the lady who will die soon. We celebrated and we grieved with those who were doing likewise. It reminded me of St. Paul’s instruction to us: “Be happy with those who are happy, and weep with those who weep” (Romans 12:15). It is inevitable that in life you will do both. I hope you celebrate with passion and loud laughter. Do it as often and as long as you can. That’s what the soon-to-be-married couple is doing. That’s what we did with them. And when you must… I hope you grieve. Grieve thoroughly. Grieve completely. That’s what the soon-to-die lady and her children are doing. That’s what we did with them. In our home we have three guinea pigs (in addition to an English Mastiff, a bearded dragon, a bunch of fish, and almost as many kids). 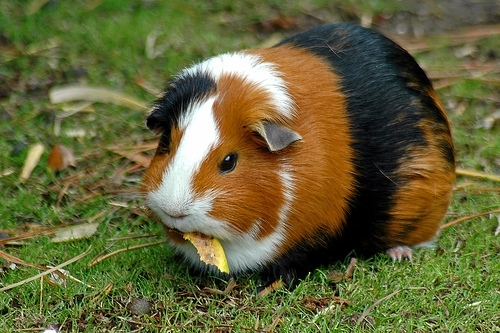 Guinea pigs make great pets… especially if you have a lot of kids who all want a pet! They are small, fairly clean, and relatively low maintenance. They are also safe for children. Having said that, we do check in occasionally to see that the animals are neither dead nor living in squalor. Her: do you know how I clean my guinea pig when I run out of shampoo? Her: I lick her. That’s how she cleans herself so I thought I could do it too. Me: Go tell your mom! And there you have it. One more way to clean your guinea pig… and save money in your budget ’cause you don’t need to buy shampoo! Every month I write an article for the Brutal Iron Gym newsletter. For now this is a free newsletter packed with good information and inspiration. If you want to receive it send an e-mail to brutalirongym@gmail.com! This is the article I wrote for the June edition of the newsletter! I’m a huge fan of getting better! In fact, one of my goals is to get better as I get older. Part of my plan for making that happen is by reading… constantly acquiring new ideas. One of the ideas that I ran across recently was something that I can’t wait to share with you! It has to do with how to change yourself! First things first though… I am of the opinion that YOU ARE RESPONSIBLE FOR YOU! You are where you are because of the decisions you have made up to this point! You made food choices, relational choices, recreational choices, etc. that have created the man/woman you see in the mirror today. The good news about this is that if your decisions have led you to the place you are currently, they can also take you to another place! Decisions followed by action are powerful tools! Having said that, there are powerful forces that influence our decisions on a regular basis. 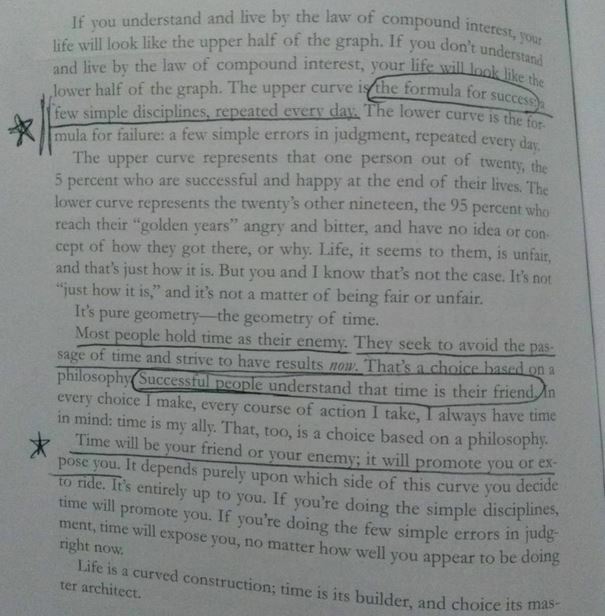 Let me share the three most powerful (I owe this line of thought to Darren Hardy’s book “The Compound Effect”). This is the “stuff” that goes into your mind. You know, if you drop a blob of mud into a perfectly clean pool that little bit of dirt will dilute the water! BUT, if you drop ten 5-gallon buckets into that pool… you’re going to have a mud puddle! 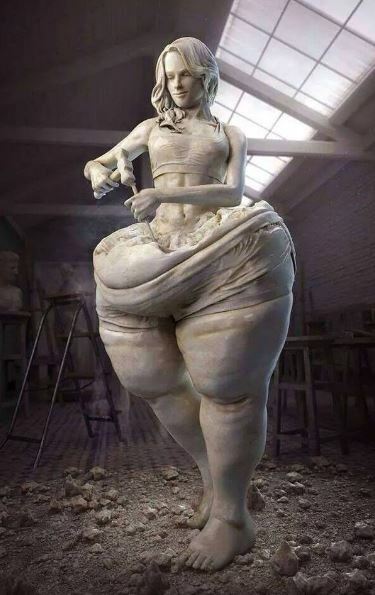 That’s what we do to our mind when we fill it trash that does not inspire and motivate! I’d encourage you to start filling your mind with positive inputs by reading good books, listening to inspiring podcasts, and talking with people who are already doing what you want to do, because at the end of the day… if you want to change you, the first thing you should consider is your mental diet! Oh, this is a biggie! Think about it, if you hang out with powerlifters, you’re probably going to end up lifting heavy stuff! If you hang out with bodybuilders, you’re likely to end up eating lots of chicken and blowing out your shirt sleeves! If you hang out with people who binge on Moon Pies and Chocolate Milk… well… you’re going to blow out some clothes too… just not the sleeves. Seriously, I don’t need to spend a lot more time teaching this point because you know it… the people you hang with will help you or hurt you. If you want to change you then you might just need to get some new friends. I recently wrote an entire blog post about this subject titled “Who’s In Your Circle of Five?” I encourage you to go read that… when you’re done with this post! 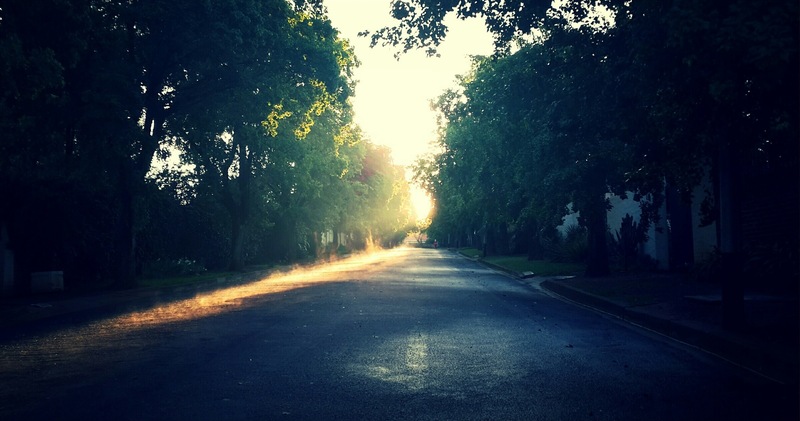 Your environment is the sum of all the things around you: people, art, furnishings, words, etc. Think about it like this… how do you feel when you walk into Brutal Iron Gym? Got it? Now think about this, how do you feel when you walk into your doctor’s office? You feel completely different because the environment is completely different. Your environment is a huge influence on the person you are! Some things that I like to include in my environment are: positive music, encouraging words, sunshine, hugs, high fives (BTW, I prefer high fives in the gym), good books, etc. Let me ask you this, if I were to walk into your environment (e.g. your house, office, car, etc.) would I be inspired or feel like taking an entire bottle of Xanax? If you want to change you, you can hasten that process by changing your environment! Oh, and now that you’ve finished this post, go read this one about building your Circle of Five! For the last several years I have made an effort to make friends who don’t look/believe/act like I do. 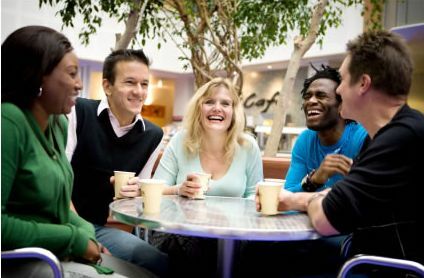 From racial to sexual to theological differences… I have made a lot of great friends. I’ve spent a lot of time drinking coffee, eating sushi, and lifting weights with my friends. I’ve listened… and from time to time I’ve talked. Over the last few years I’ve learned a few things, but perhaps the most important is something that’s been crystallized in the last few weeks. Many of my friends don’t have the same presuppositions. If this is not taken into consideration, communication problems will ensue. For instance, I base my decisions on what I believe God wants or doesn’t want. My friends who do not believe there is a God obviously don’t include Him in their decision making process. In addition to being a friend, I am also a pastor. Every week I stand up and teach at Church180. I love being a pastor. I love teaching. I love talking about God and showing how His ideas work in our lives! I make a HUGE MISTAKE if I assume that everyone in our church starts with the idea that there is a God… or that He is actively engaged in our lives. Not everyone believes this! I’m realizing that if the church is not careful, we are going to be talking to a group of friends that have no clue about what we’re saying… because we’re not starting with the same set of presuppositions. I presuppose that there is a God. I presuppose that humanity is made in the image of God but is broken by sin. I presuppose that Jesus was a real man who died for my sins, was buried, and resurrected to life three days later and now lives inside of those who believe in Him… empowering them to live lives of l0ve, courage, wisdom, self-control, etc. I presuppose all of that. My friends don’t. The result? Much of what I may say may not make sense to them… because we start with different presuppositions. Well, the last couple of years I have done a lot of listening. A LOT of listening. I ask questions and then listen. I have listened to black men talk, gay men and women talk, atheists and agnostics talk… and I have learned… A LOT! The more I learn, the more I realize I need to change my starting point in conversation and teaching from what I believe to what we believe. No longer can I assume that everyone in the room has the same starting point as me. I must assume that many in the room will start with different presuppositions than myself. I must respect that/them, seek to find common ground, and start there. How do I find common ground? LISTEN! Listen to your friends who don’t believe, look, think, or act like you do… let them show/tell you what’s important to them… what they value… and start communication there! We may be miscommunicating because we have not taken the time to listen! One of the books I’m reading now is The Slight Edge by Jeff Olson. Yesterday I snapped a picture of one of the pages and shared it on my Instagram page. I thought I should share it here too… and make a comment or two. For a long time I saw time as my enemy. It was TIME that was keeping me from the things I wanted. Now I see how wrong that was. Do you see time as an asset? An ally? Or do you see it as your chief enemy?